Secure or not, the face unlock is a new trend in smartphones. So far none of the Nokia phones offer proper face unlocking functionality, except for those running Chinese firmware. There is Android’s native smartlock functionality which acts similar to face unlock, but is slower and harder to use. Things are, however, about to change in the near future. While replying to a Nokia customer, Nokia Mobile on Twitter mentioned that they will provide the *proper* face unlock feature via a software update. 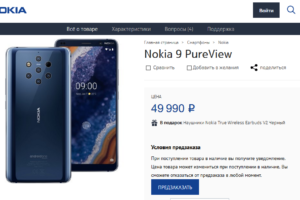 The eligible devices are – Nokia 8, Nokia 8 Sirocco, Nokia 7 plus and Nokia 6.1 (aka Nokia 6 2018). Nokia Mobile did not include any ETAs, instead the usual in the coming months. This could even be stretched for too long and bundled with Android P release. Nokia phones do not sport any dedicated hardware to detect faces. So, like most other OEMs, the face unlock technology on Nokia phones will be relying on the front cameras. Your say: What is your opinion about the face unlock? Will you use it on your Nokia phone if it eventually does come via an OTA?